Human resources and managing your company’s drug testing program can be tough. A common mistake we come across is when employers jump into pre-employment or random testing. Drug testing is actually only one part of a complete workplace drug program. Workplace drug testing shouldn't be put in place without taking these first steps. With good planning, you can put in place a successful workplace drug program. Like all employers, you want the best protection against substance abuse. If you fail to include these steps, you can face severe penalties. You could receive violations from the Department of Transporation or employment lawsuits. The first step is to draft a drug and alcohol policy aka drug-free workplace policy. It's the foundation for a drug and alcohol program. Be sure to include input from your executives, supervisors, and employee advocates. This will ensure a win-win for everyone involved. What is the purpose and goal of your policy? Who's covered under your policy? When will your policy apply? What is the prohibited behavior? Will employees notify you of drug-related convictions? Will your policy include locker, vehicle, or personal searches? Will your program include employment drug testing? What are the consequences of a policy violation? Will there be Return-to-Work Agreements? What type of help will be available? How is employee confidentiality protected? Who will be responsible for enforcing your policy? How is your policy communicated to employees? We recommend that you have your final draft reviewed by a legal consultant. Someone such as a labor/employment attorney, before distribution and implementation. Your next step is training individuals closest to the workforce: supervisors. 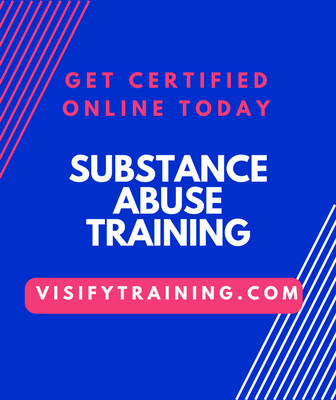 Training supervisors is an integral part of every drug and alcohol program. The Department of Transportation requires two hours of supervisor training. This is also known as "reasonable suspicion" training. It gives supervisors the skills to recognize substance abuse in the workplace. Provide supervisors with information about your drug and alcohol program. Also, discuss their role in its implementation. Your drug and alcohol policy. The supervisor's specific responsibilities in implementing the policy. Ways to recognize employees with job performance problems related to alcohol and drugs. How to deal with these employees. Employee education is often overlooked by most businesses. At least, promoting your drug and alcohol program is a deterrent in itself. This is commonly referred to as employee alcohol awareness and employee drug awareness. You can do this by mentioning drug testing in your job postings. Also, by hanging “drug-free workplace” posters around your buildings. This will help deter applicants and employees from abusing drugs. Also, include employee training in the onboarding process. If you're implementing a new drug program, train your existing workforce. Describe the impact that alcohol abuse and drug use has in the workplace. Give factual information about addiction and the major drugs of abuse. Employee assistance is an overlooked component of most businesses. An Employee Assistance Program (EAP) is a valuable resource for both employees and managers. It can play an important role in your drug program. An EAP is a worksite-focused program. It's designed to identify and resolve productivity problems associated with personal problems. Personal problems often include alcohol or drug abuse. Employees are a vital part of a business and valuable members of the team. It is better to offer help to employees than to fire them. Recovering employees can, once again, become productive and effective members of the workforce. An EAP offers valuable services to your business that go beyond those of a workplace drug program. An EAP will complement your workplace drug program by encouraging employees to seek help. EAP counselors are in a position to identify employees who have developed problems. They can identify them before they are problems at work. A statement that defines how employees access the EAP. Also, define the services provided and how to protect employee confidentiality. Consultation and training services for supervisors and managers. This shows how to manage and refer troubled employees to the EAP. Promotional activities to ensure the EAP is visible and accessible to employees. Educational programs for employees on relevant issues such as alcohol and drug addiction. Problem identification and referral services provided to individual employees (and often to family members). An up-to-date list of qualified providers for treatment or help. This enables prompt referral of employees to appropriate resources. Most employers have a fair amount of latitude in implementing drug testing. First, make sure you aren't subject to certain federal regulations. If you are, you must follow standardized procedures. Most employers are not required to follow guidelines. Although, doing so can help you stay on the safe legal ground. Court decisions have supported following these guidelines. As a result, many employers choose to follow them. Using these steps will ensure a safe and successful workplace drug testing program. Remember that drug testing is only one component of a complete workplace drug program. It should not be the only deterrent against drug abuse. It's important to balance drug abuse prevention and detection. You can do this by training supervisors and managers. Also, offer employees help to identify drug or alcohol problems. This will identify problems before they are problems at work.